take a toll on your heart, brain and body. Don't let justified emotions rob your health and well-being." The attitude of ANGER is destructive to balance and harmony in the body. IT is the feeling of "I'm not getting my way and I don't like it!" ANGER is a force that can separate the soul from the body as it creates such an intense, destabilizing energy within. According to a study of more than 1,000 people at a Western Electric factory in Chicago, over a 25-year period, those with anger management problems were at a high risk of dying from coronary problems, as well as cancer. Chronic anger is also linked with weakening of the immune system, leading to life-threatening illnesses. Anger affects the function of Liver and Gall Bladder Energy in the body as well as Blood Essence and can manifest in alcohol addiction. The opposite of ANGER is Harmony & Balance. To balance anger, HOLD the MIDDLE FINGER for about 5 minutes or until you can feel a gentle rhythmic pulsing. Even and clear. Breath easily. Relax the shoulders and smile from the very heart of you. As you hold the MIDDLE FINGER, the destructive feelings of anger begin to dissipate. The Middle Finger is the General Harmonizer of the body. It is powerful for the respiratory system and promotes good digestive function while releasing tension from the knees. As we come into balance, we increase our capacity for compassion and reinstate harmony. Hold your middle finger whenever you feel "out of balance". As Thomas Merton once wrote, "Happiness is not a matter of intensity but of balance, order, rhythm and harmony." Holding the middle finger will remind you that balance is where you really want to live. Funny, isn't it, that often the middle finger is used to express Anger.. why not use it to balance and clear anger? Give it a try! Relax. "Don't chain your worries to your body. and your health will give too much of itself to pick up the extra load." Worry is engaging in chains of thoughts and images of a negative and uncontrollable nature in which mental attempts are made to avoid anticipated potential threats. It is a preoccupation with past or future bad events. It makes you feel as if you were reliving a past event or living out a future one, and you cannot seem to stop those thoughts from happening. Worry encompasses depression, hate, obsession, anxiety and self-protection. Worry is the attitude that affects the function of the Spleen, Stomach, and Skin Surface. It inhibits our ability to obtain sustenance. It is associated with an addiction to sweets. It is interesting to me that Benjamin Franklin said, "Do not anticipate trouble or worry about what may never happen. Keep in the sunlight." One function of the Spleen is that it takes the energy from the Sun and distributes it to all of our organs. IT energizes our organs with the Sun. Indeed, Keep in the sunlight! The opposite of worry is Happiness, the feeling of security in our capacity to be nourished and loved, a confidence in our ability to be sustained in our life. Sustained body, mind and spirit. To balance worry, HOLD the THUMB for about 5 minutes or until you can feel a gentle rhythmic pulsing. Even and clear. Breath easily. Relax the shoulders and smile from the very heart of you. As you hold the THUMB, all worries begin to melt away, daily fatigue is unloaded, digestive discomfort, bloating and weight problems are released and you facilitate the flow of life energy throughout the body. Headaches are relieved by holding the THUMB as well as stress in the shoulders and lungs. Smile. De-stress. Have a great day! but it gets you nowhere." "Feelings come and go like clouds in a windy sky. Conscious breathing is my anchor." Breath is the simplest and most perfect of all the tools we have for health and balance. The breath can be used with awareness at any moment to balance the life energy and bring us into a place of harmony and healing flow. Within the breath lies the key, our power to transform our lives and the world. The breath releases endorphins, helps to clear and focus the mind, strengthens weak abdominal and intestinal muscles, and has deep purifying effects on the respiratory and nervous system. There is a strong relationship between our emotional state and the quality of our breathing. Poor breathing depletes energy and negatively affects mental alertness as well as causing or worsening all dis-eases! The first step in healthy breathing is to become conscious of how we actually breathe. In Jin Shin Jyutsu, we are invited to focus not on the inhalation but instead to observe the Exhalation, as it is the key to clearing the body. 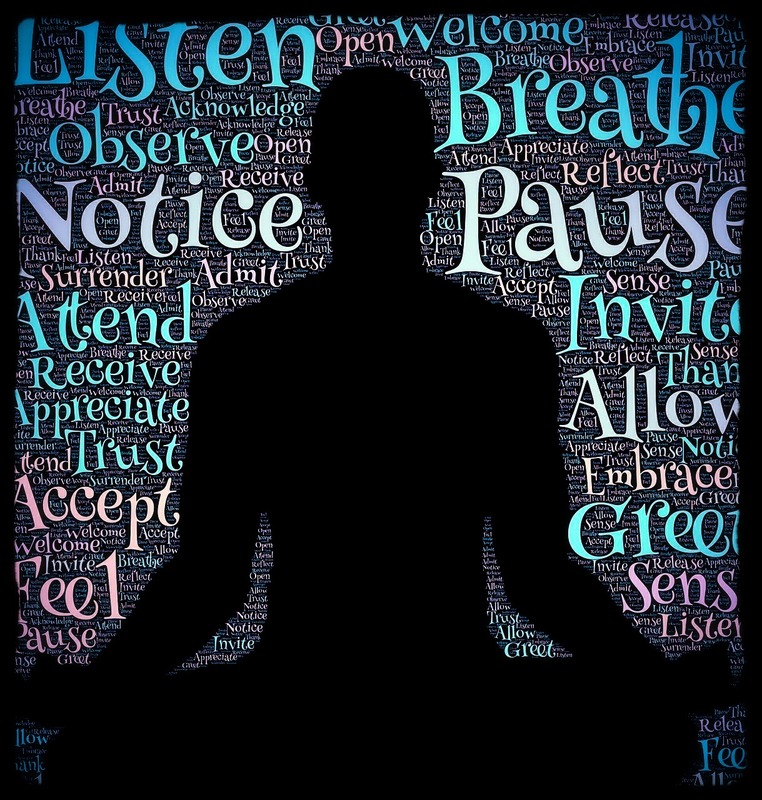 "The 36 Conscious Exhalations Meditation" is a great way to access this Limitless Life-Power. Sit with your hands folded in your lap. Drop your shoulders. Bow your head and SMILE from the very soul of you. Begin by counting each exhalation. One, exhale, inhale. Two, exhale, inhale....... Allow your breath to unfold naturally. When we EXHALE long and deep, we release all of the stale air held in the lungs. Imagine that your exhalation is even longer than the inhalation. Observe the pause that happens just before the inhalation begins. Inhale deep into your belly. Instead of expanding your chest, expand your belly. You will begin to realize that once you have fully exhaled, the next inhalation "just happens". No effort is necessary. Again observe the pause that happens just before the exhalation begins again. Just by focusing on these pauses,the breath becomes deeper and slower. Bring your attention to these pauses. If you lose count, just begin again. This exercise can be done all at once, or broken into 4 session of 9 breaths each. In time, your breathing will automatically become deeper and more rhythmic. As you count each breath, your attention is focused on the counting and this in turn serves as a way to quiet the mind. As you EXHALE, unload all the dust dirt and greasy grime that is held in your body. Exhale from head to toes. INHALE from toes to head. RECEIVE the Cosmic Energy of Abundance and connect to the Cosmic Energy Force. When we breathe in this manner, we have the ability to eliminate stress, anxiety, irritation and anger. We experience a reduction in depression, insomnia and general fatigue. We see improvements in our blood circulation, lung capacity, digestion and elimination. And when you combine the use of your breath with holding your fingers, the results will astound you. The practice of Jin Shin Jyutsu teaches us that with each breath we are made new, imbued with a new awareness of our limitless life energy and awakened to our ability to partake of Effortless Reality. the inhale will take care of itself." which leans from the visible to the invisible through reality." 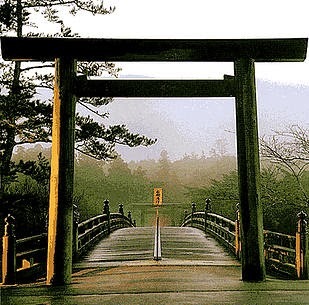 When I first read in Mary Burmeister's Jin Shin Jyutsu Self-Help Book that Master Jiro Murai dedicated his study and rediscovery of the ancient healing art of Jin Shin Jyutsu to the Imperial Shrine at Ise Jingu, I needed to know more about Ise Jingu! Ise Grand Shrine is a Shinto shrine dedicated to the goddess Amaterasu-omikami (the Radiating Princess or Sun Goddess), located in the city of Ise in Mie prefecture, Japan. In my research, I found this image of the Uji Bridge, which crosses the Isuzu River and leads to the entrance of the Imperial Shrine. I learned that the Uji Bridge further serves to connect the sacred land with the human world. This image indeed has a magical, mystical feel to it and leads me to think about the bridge as a metaphor of healing, wellness and balance. Because of the nature of earth's geography-hills, mountains, rivers, etc-there could be no road of any type without bridges. Bridges, both the literal and figurative ones, connect us to everything and allow us to reach something of importance on the other side. The purpose of a bridge is connect and make it possible for existing paths to continue and join. A bridge has no judgment as it simply exists to connect anyone who chooses to make use of it, no matter who they are or where are ultimately going. Right within our bodies exist many bridges or means of connection that help us to live and function effectively. Our bodies are made up of a multitude of communication pathways and bridges that connect all of the layers of our being-body, mind and spirit. Mary Burmeister said, “The study of Jin Shin Jyutsu is to remember who we truly are; spiritual beings having a physical experience.” Jin Shin Jytusu concerns forces that we can’t see, but that are powerful and ever-present on an energetic level. This experience of the mystical allows us to receive the harmonizing gifts that come through the gentle touch of Jin Shin Jyutsu on the energy flow patterns in the body. Jin Shin Jyutsu considers harmony to be our original state. It becomes the bridge on our journey to get our egos and attitudes out of the way so that we can reconnect with Source and find clarity and balance in our total being. The Main Central Flow especially helps us to connect to these mystical forces by bridging us back to the ancestral river of creative life force energy that creates our physical experience. By working with The Main Central Flow daily, we find ourselves remembering that harmony is our birthright. and give up all other talks. This is the bridge leading to immortality." the power to resist and overcome threats to one's well-being." Our bodies are an incredible array of biological structures and processes that work together to protect against dis-ease. Common-sense practices such as getting enough sleep, eating healthy foods, exercising, and reducing stress all appear to play a role our healthy functioning. The combination of lack of sleep and poor nutrition reduce our immune system's ability to naturally protect us against bacteria and infection. We are more susceptible to common colds, flu and other ailments when we carry stress in our lives. Stress suppresses the immune response and can reduce the body's ability to defend or repair itself. Many experts say that the majority of disease is stress-related. When we reduce stress our entire system is better able to function effectively. Jin Shin Jyutsu is a great way to eliminate the effects of stress on our bodies. Every Jin Shin Jyutsu session supports all of your systems and prepares your body for whatever life throws at you. Daily Self-Help and Regular Jin Shin Jyutsu sessions will also help you to heal faster if you do catch something and a session when you feel something coming on can often prevent a cold from taking hold. Everyday stresses accumulate inside our bodies, causing shoulder and neck tensions as well as anxieties that often make it hard to breathe. Here is a wonderful Daily Self-Help Flow to help lighten the tension that we carry in our necks and shoulders. It is especially helpful if you feel something "coming on." Don't explain the feeling away as tiredness, because chances are if you are tired, then you are more susceptible to whatever is "going around." This self-help hold is used to support your entire system and will help you to be healthy during the cold and flu season. Place your left hand on your right neck/shoulder area (the soft muscle area where your neck and shoulder meet). Place your right hand at the fold of your right leg at the groin. Hold until you feel a rhythmic pulse in both places. Then switch: place your right hand on your left neck/shoulder area. Place your left hand at the fold of your left leg at the groin. Breathe and Be Well. The benefits of Jin Shin Jyutsu are cumulative. Maintaining a healthy energy system is the best preventive for keeping the body from being invaded by colds, flu and other illness. Jin Shin Jyutsu leads to better sleep, strengthened immune system, reduced aches & pains, reduced depression, minimized effects from stress, improved moods. The more regularly you practice self-help and get sessions, the more benefit there is for you. Those aches and pains go away faster, stay away longer or go away entirely. the seed of your destiny." With the warm temperatures and oh so blue skies of the last few days, all thoughts turn to Spring, that transition period between winter and summer, the season of rebirth, fertility, renewal and regrowth. The birth of new ideas, inspiration, and creativity restored by the longer sun-filled days. I am drawn more and more each Spring day to be out in the garden among the fresh growth and delicate flowers all brimming with possibility, to witness the change and transformation bursting forth. Small wonder that the color for harmonizing the body in Spring is GREEN. Green represents nature's desire to expand and grow. Surround yourself with green when you feel the need for relaxing-body, mind and spirit, to help to alleviate depression and anxiety. The color green is soothing and promotes harmony, renewal and vitality. Transitions are helped by a practice of mindfulness. As we move out of Winter, the season of retreat and rest, and into Spring, the season of new growth, rebirth and action, it is important that we find ways to reduce the stressors that keep us from feeling our best. The seasons of Spring, Summer, Fall and Winter, like the tides, have an affect on our body's energy flow. Each season has a connection to a pair of organ functions. The organs of Spring are the liver and gall bladder. The attitudes of imbalance are anger, frustration, and insecurity. When in balance, there is harmony and well being. Imbalances of the liver and gallbladder as well as the associated attitudes can be harmonized by simply holding the Middle Finger. In addition to holding your middle finger for balance, it is wise to eat plenty of greens to help the Liver detoxify from the long winter. I am finding that I have great cravings for greens of all kinds at this time of year. As I work in the garden, I munch on the tangy arugula and pungent garlic tops that always manage to make it through the winter, a hopeful bit of green showing through the snow. The abundance of the color green in Springtime should be a reminder to us about the need for these greens in our diet. We'll soon be eating salads of arugula and tender young herbs, sauteed mixed greens (chickweed, arugula, collard and kale), and chopped greens added to stirfrys. 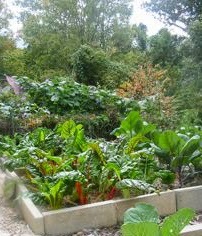 The photo above shows and abundance of green from a previous year's Swiss Chard bed in my wonderful garden. I love knowing that eating local, in season foods work with my body to keep the organs of the season in harmony. Nature is so intelligent, it is a shame that science thinks that it can do any better by engineering our foods. • Eat lots of green foods. • Eat Local, In Season. • Get outside and play in the dirt. • Get plenty of exercise. • Get plenty of rest and relaxation. So throw your windows wide open and let the fresh Spring air blow through to clear out the dust and darkness of the winter, and to make a fresh start. a bulb opening to the light, a bud straining to unfurl. 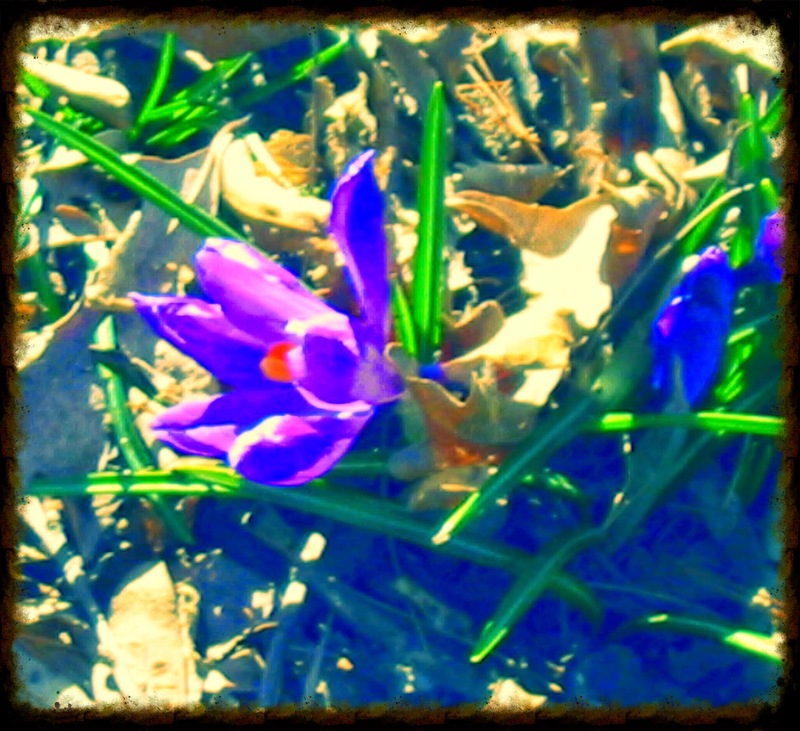 Finally, Winter's embrace is beginning to loosen. Our recent warm weather is a welcome respite from the icy chill of last month. The daffodils are pushing up, my quince bush is blooming and the air smells like Spring. And even though I know that we are likely to get more cold weather and even a snow or two, my thoughts are turning to Spring planning for the garden and my life. The smell of Spring in the air brings to mind the process of Spring Cleaning, that age old tradition of cleaning the house from top to bottom which is conducted in the first warm days of the year. Windows thrown wide open to let the fresh Spring air blow through the house to clear out the staleness that comes from being shut to the winter cold, to clear out the dust and darkness of the winter, and to make a fresh start. As we emerge from the cocoon of Winter, besides cleaning our houses, we have a need to clean our physical being and to restore balance. The simple practice of holding each finger for a minute or two each day will bring back harmony and help us to let go of the limiting beliefs that hold us back from fully experiencing the joys of life. Read More about this practice Here. One of the traditional Jin Shin Jyutsu ways of Spring Cleaning-body, mind and spirit, is to have a Week-long Healing Intensive. This special accelerated healing process involves having three or more Jin Shin Jyutsu treatments in a week. Receiving a series of sessions close together brings harmony on a continued basis for the week and allows us to affect a change in patterns of disharmony, and the habits and attitudes that create imbalance. Each session builds on the last since the healing process works in layers. As some parts of your body begin to heal, new underlying patterns become exposed and can also be addressed. Over a period of time, we clear more and more issues and learn how to operate in a new and healthy way. When more time is spent receiving healing, the healing patterns are set more strongly, so your body begins to heal faster. The effects of regularly returning your body to balance are cumulative and lead to deep and sustained changes in the your life. These effects can become long lasting with a program of regular Jin Shin Jyutsu sessions paired with daily self-help. I invite you to experience this rejuvenating and refreshing treatment, that brings balance, harmony and clarity to the many layers of your life. A week-long healing intensive brings the opportunity for deep cleaning and gives you access to the benefits that come from having a number of appointments in close succession. When we have an opportunity to keep the body’s systems clear and balanced without the time in between to fall back into unhealthy patterns, we actually give ourselves a fresh start on a clear path, we bring to our BE-ing a mindful, go with the flow way of coping with whatever life brings. Schedule your sessions Online, By Email or give me a call. Pay just $55/session when you schedule 3 or more sessions in one week and pay in full at the first appointment of the week. Repeat as often as you like.